A lot of people always asked me when are we planning to have a baby. Guess it's normal for friends and relatives to ask since it's been 8 months since we got married. Every once in awhile, I thought of planning to conceive this year but it's just a thought. We really plan to have it next year when both of us are stable with our jobs and have an earnings. 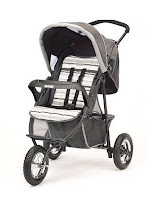 I come across a website that features a wide variety of Strollers , Prams and Pushchairs depending on the type that you need and the brand that you want. 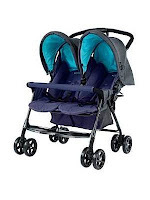 They even have pushchairs designed for twins and triplets . Apart from that they have baby accessories as well for bathing, sleeping, feeding and playing time all in one! What's more, you can navigate easily on the website if your on the hunt for something affordable and luxury! Talk about variety! Can't wait for next year to come! Seeing all of this baby stuffs keeps me longing to have one now....hehehehe.